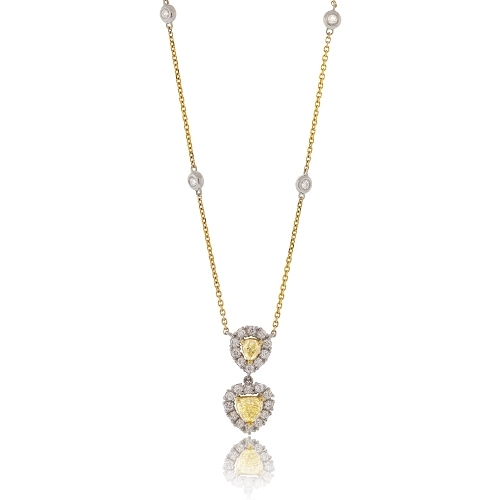 Delicate yellow heart & pear diamonds bordered by white diamonds suspended from a diamonds by the yard chain of 18k two-tone gold. Diamonds approx. 1.39ct. Chain 18"